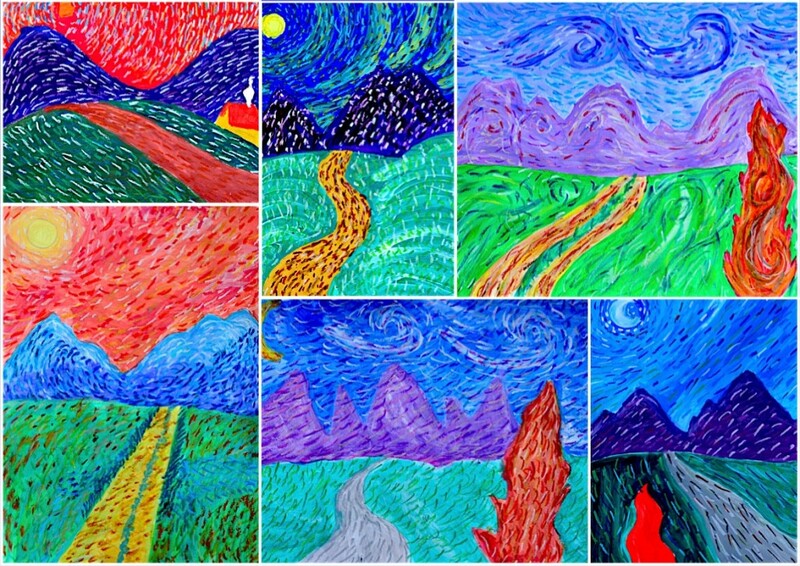 Vincent Van Gogh is alwais intriguing for students, because of his fame, his unfortunate life and his revolution in painting. 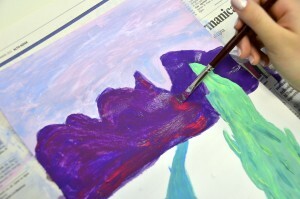 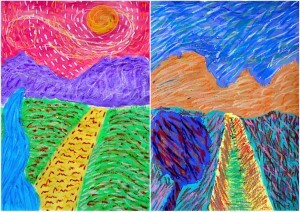 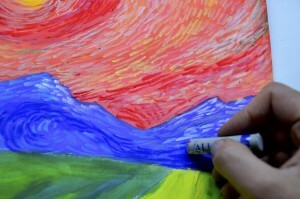 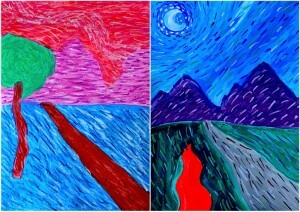 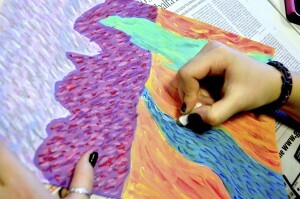 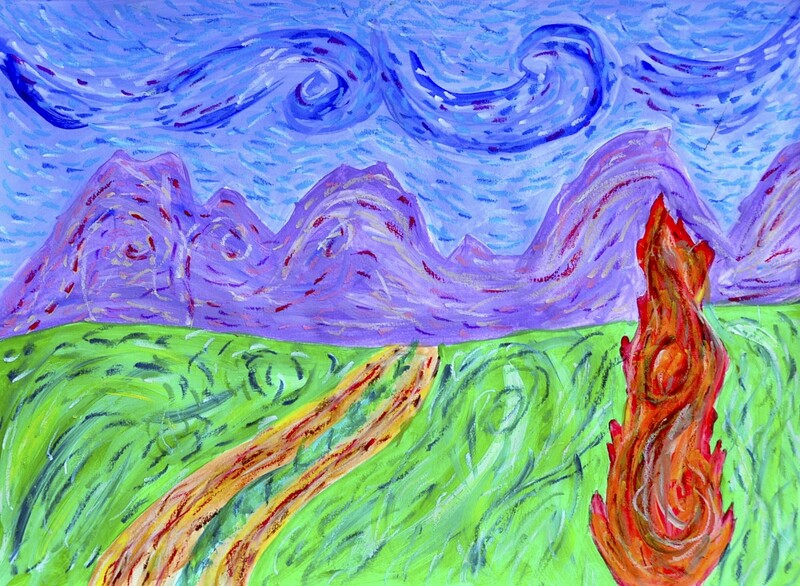 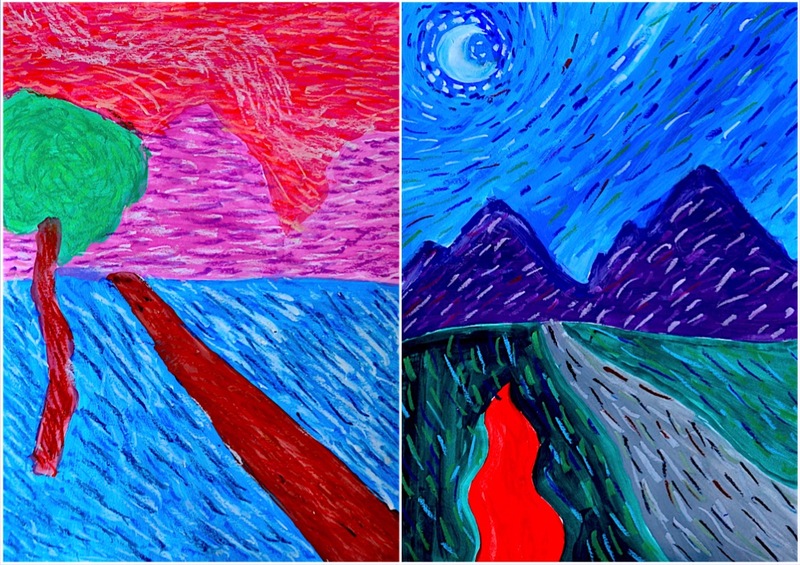 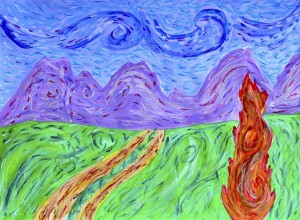 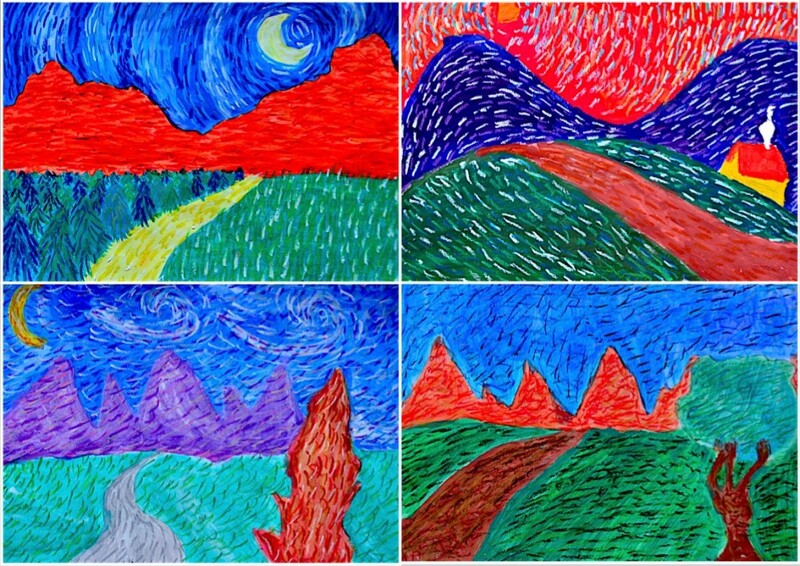 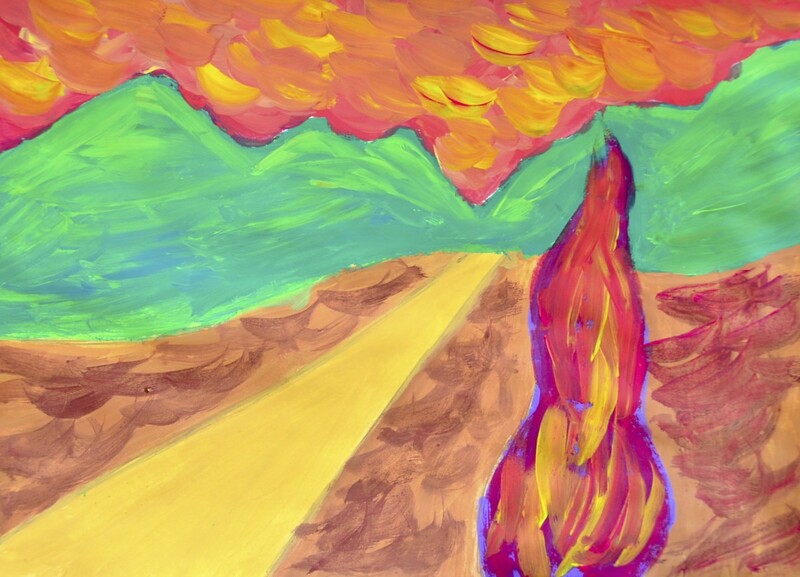 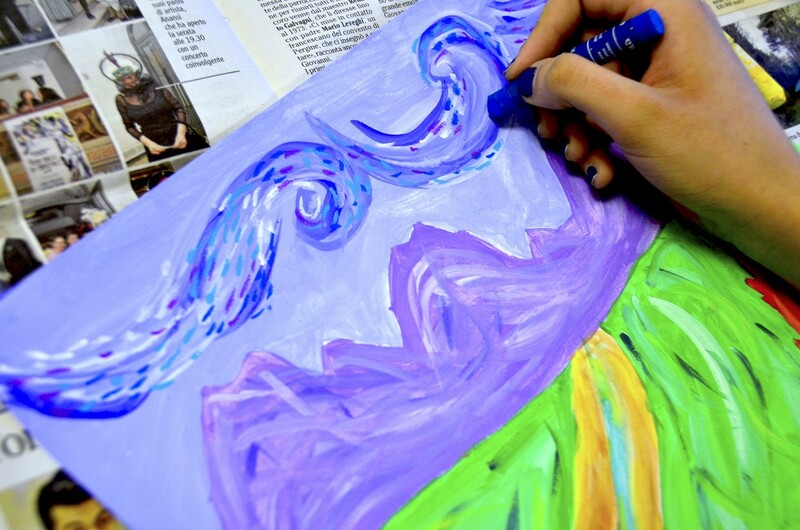 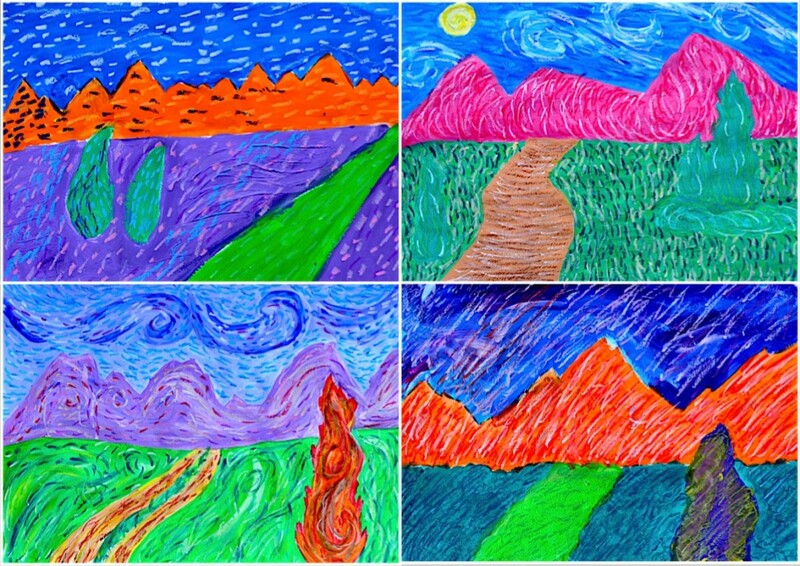 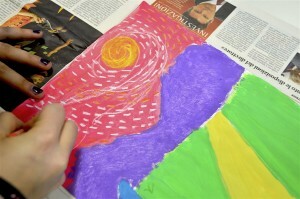 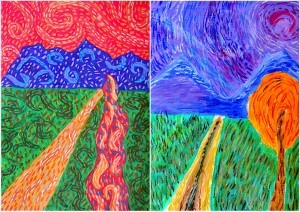 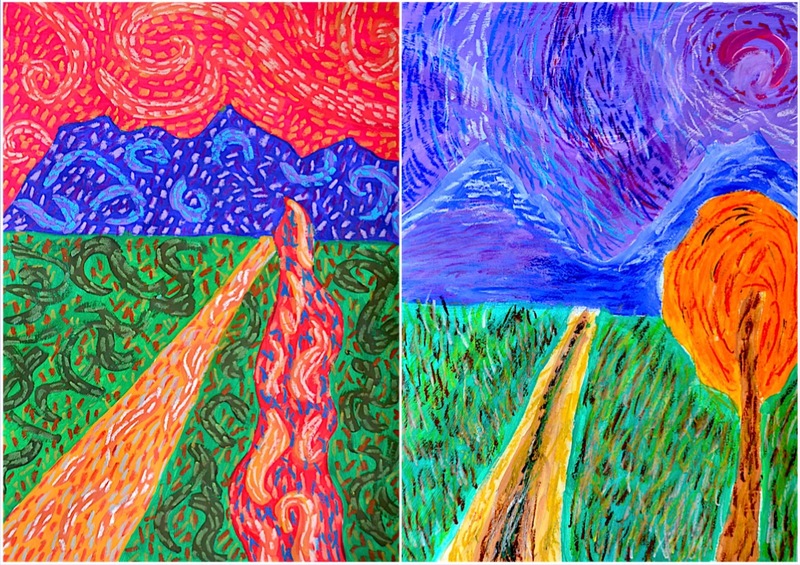 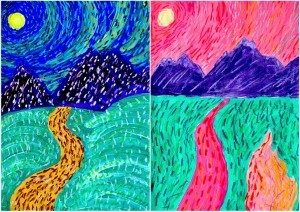 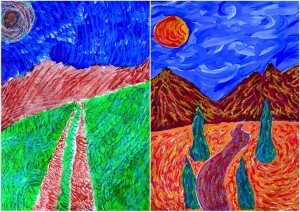 With students of 8th grade we studied the Van Gogh’s life and art works, and analyzed his unique painting technique. 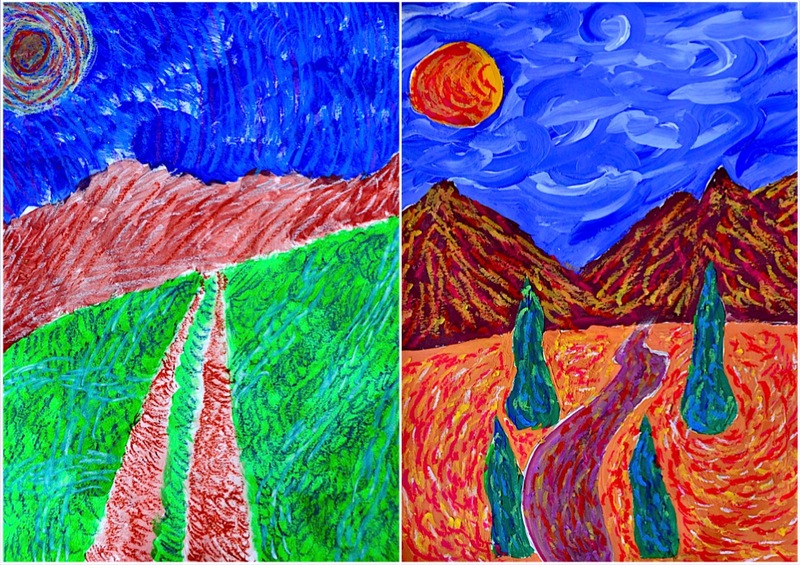 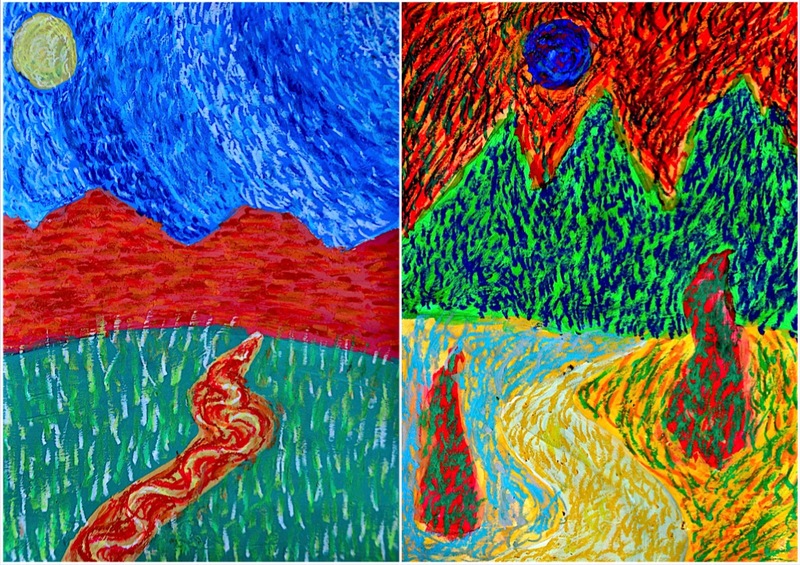 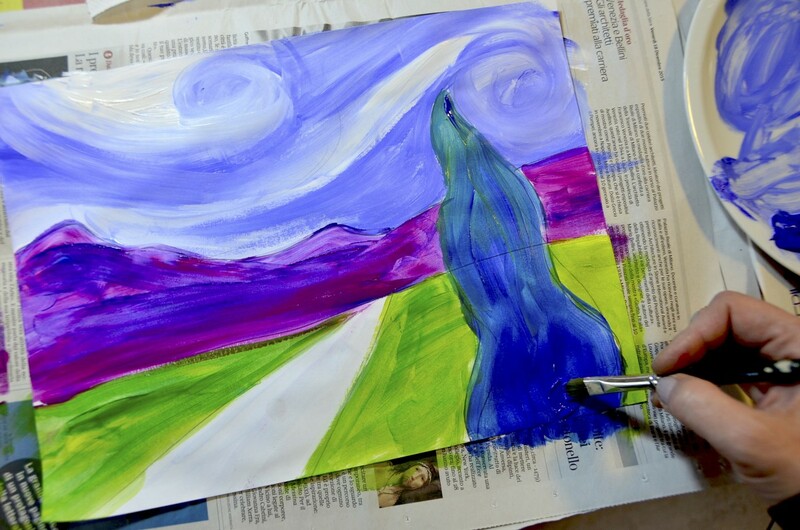 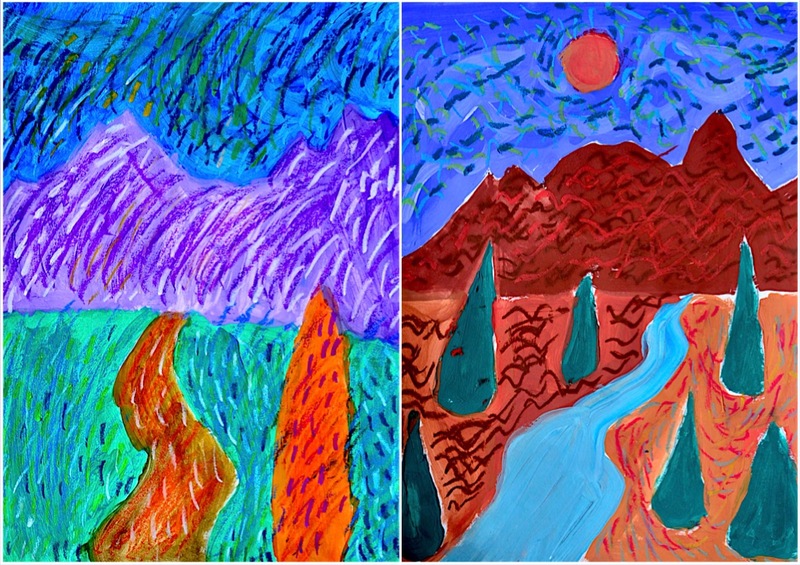 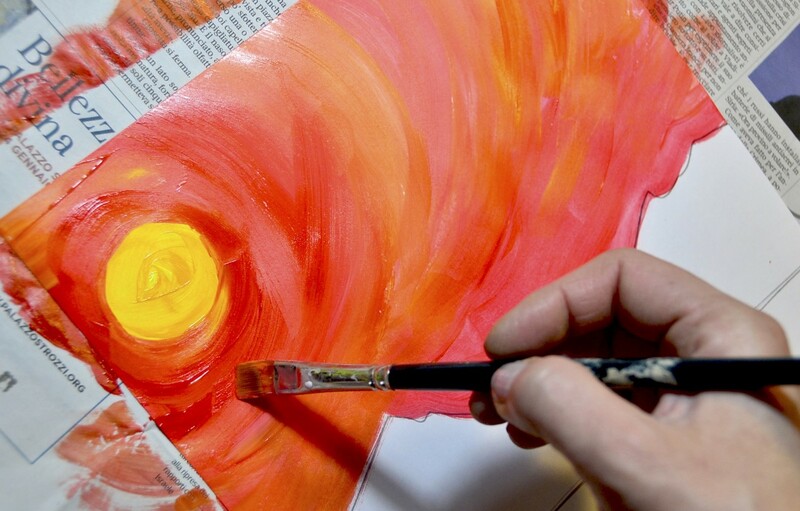 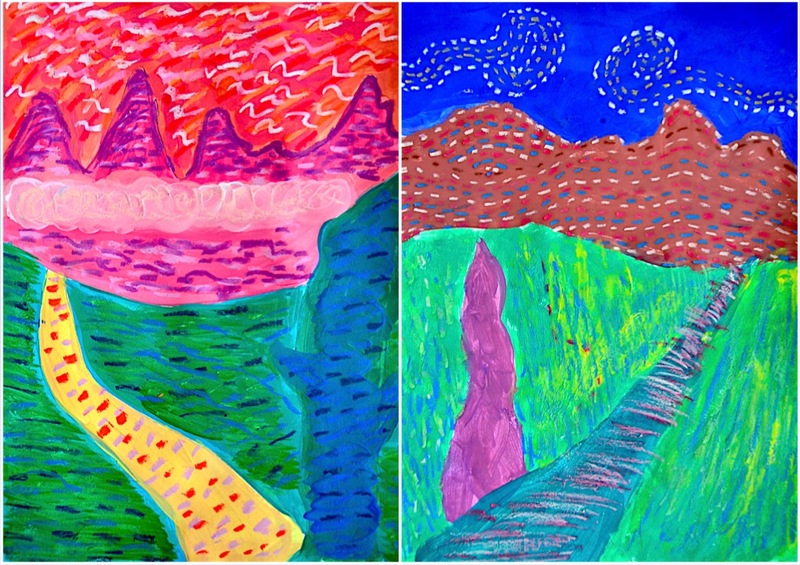 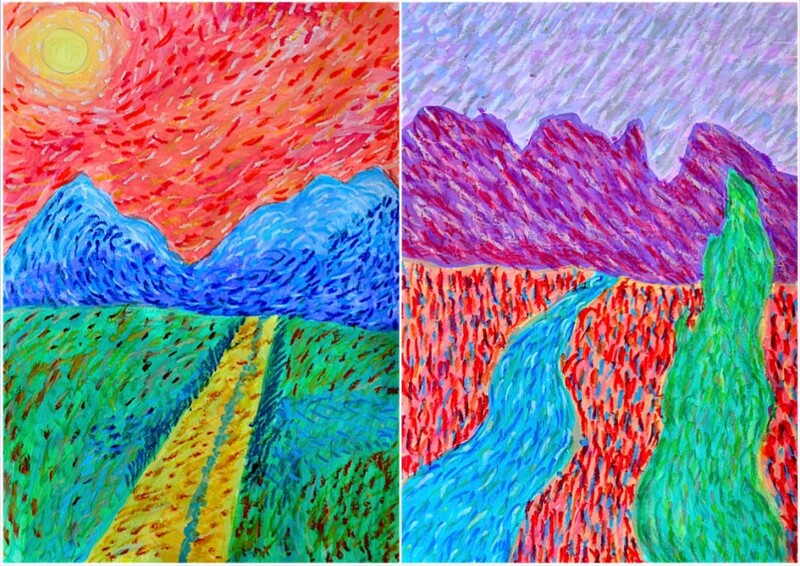 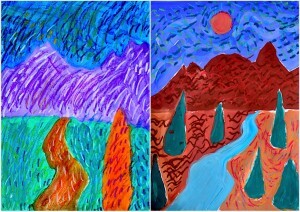 After the observation of lots of Van Gogh’s landscapes, we paint our own landscape, imitating his particular technique. 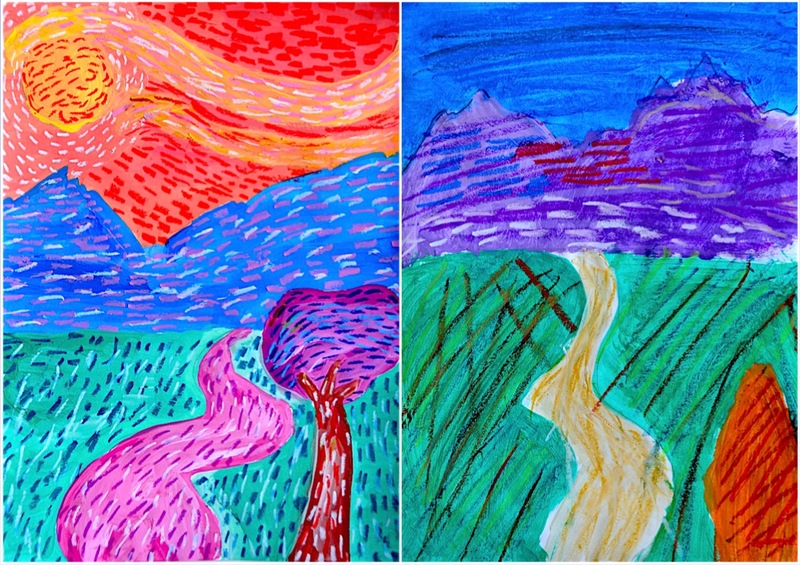 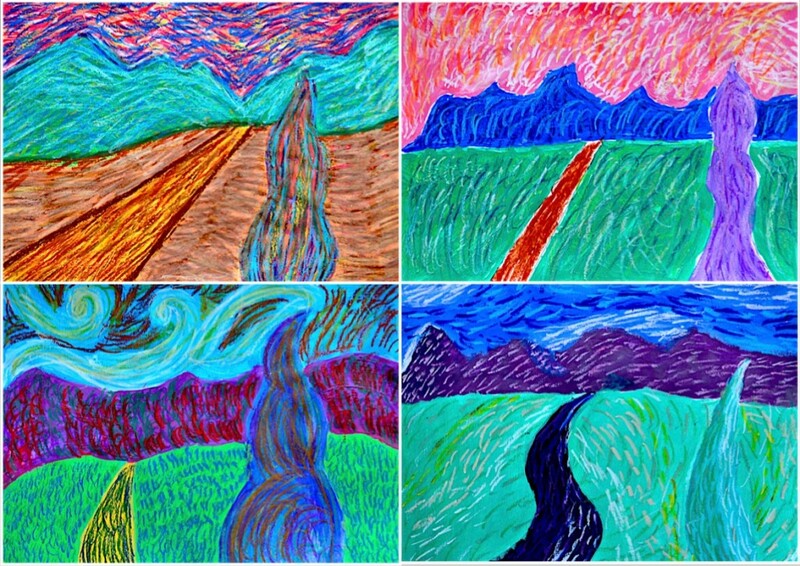 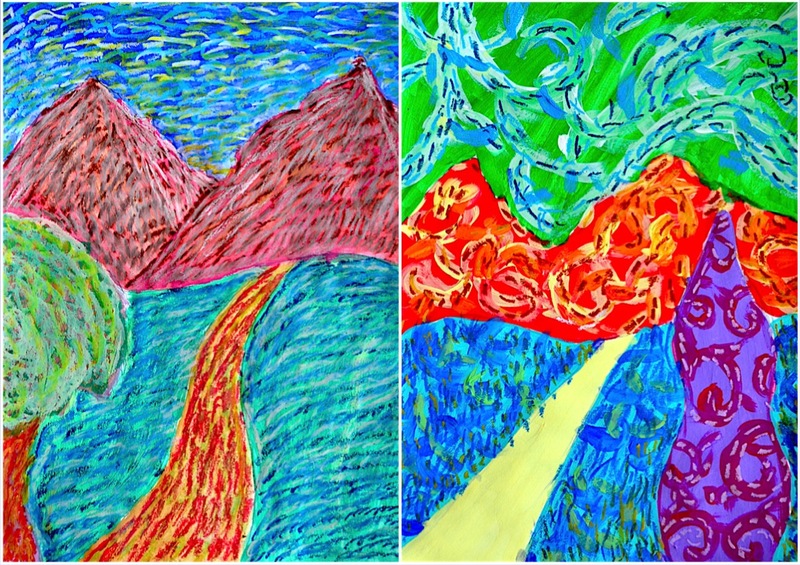 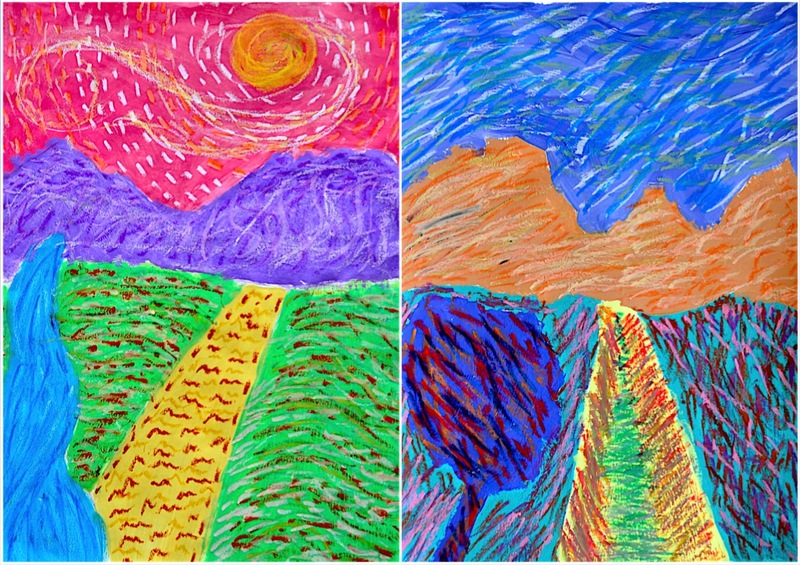 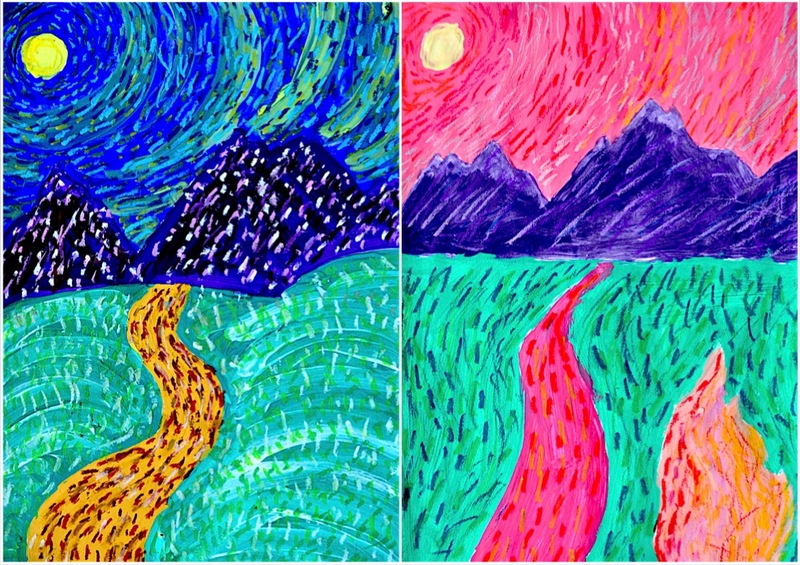 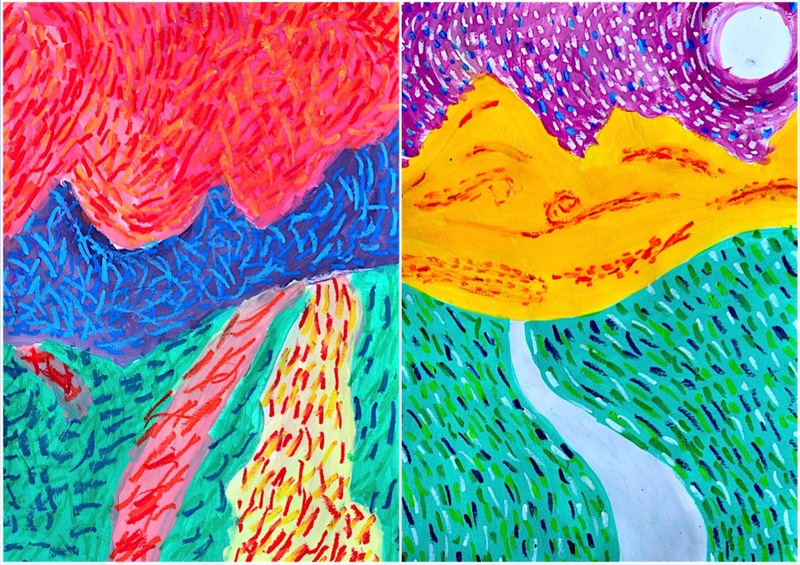 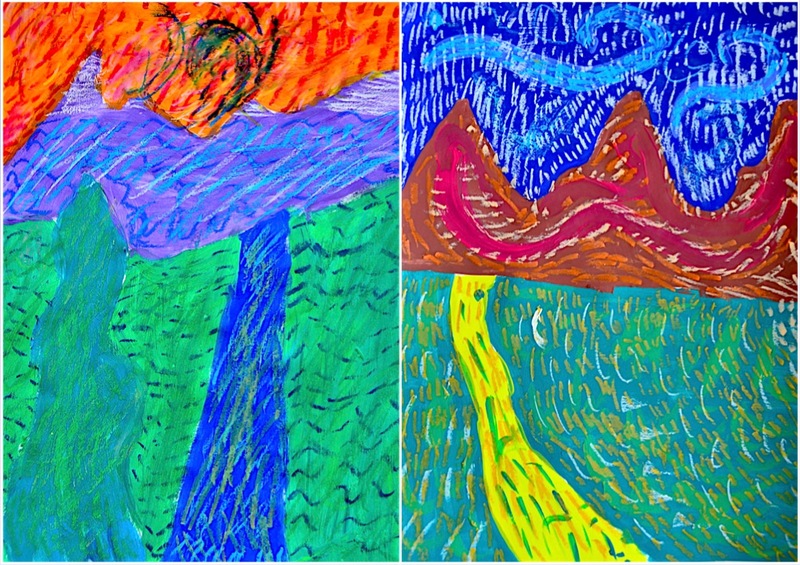 This artist used oil colors with thick, energetic, whirling brush strokes, and we imitated them with oil pastels on a painted background. Wonderful project! I love the colors! 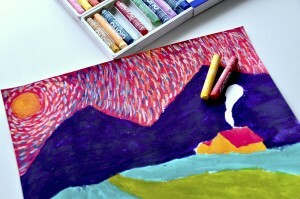 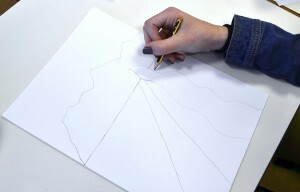 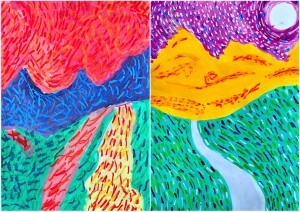 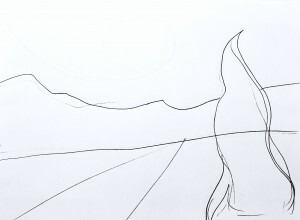 I am doing a grandma art camp-do you have instructions on how to draw the landscape? 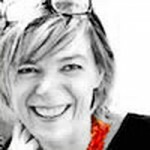 Hi Candra! 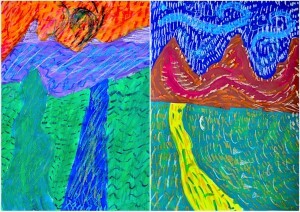 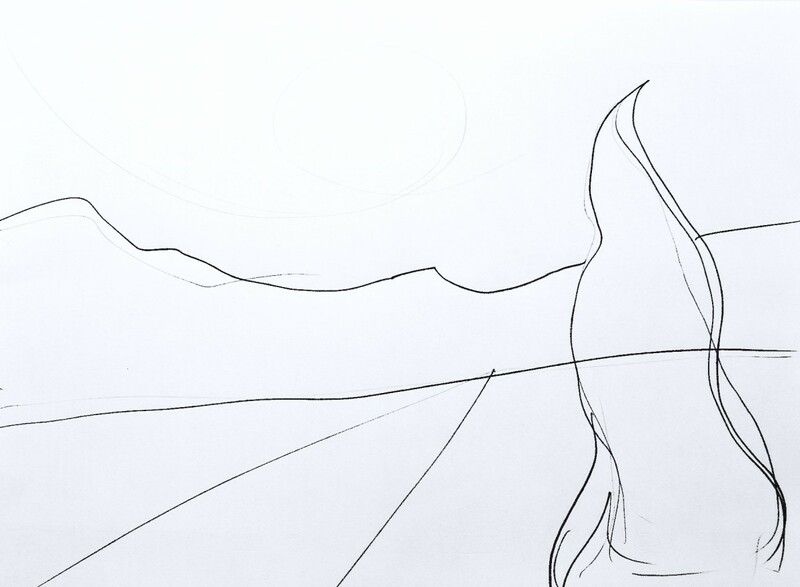 Before starting the drawings I had a lesson about van Gogh: I showed my students his landscapes. We found some features as the thick, short and whirling brush strokes.